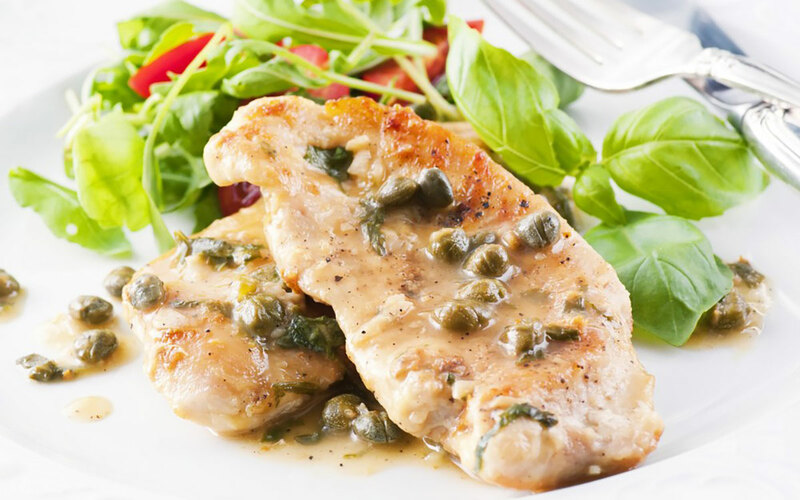 This Chicken Piccata dish is the perfect weeknight meal with a prep time of just minutes. Don’t let the quick prep fool you though, this dish is also tasty enough to serve to guests for a wonderful Sunday meal. Double the recipe and enjoy leftovers for lunch though the week! Total Time: Prep 15 Min. Cook: 25 Min. Dredge chicken in the flour and shake off excess. 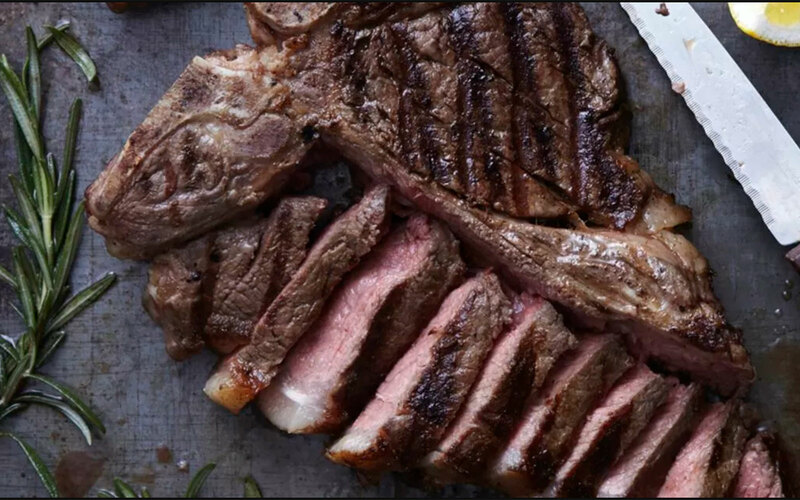 In a large skillet over medium high heat, melt 2 tablespoons of butter with 3 tablespoons of olive oil. When butter and oil start to sizzle, add 2 pieces of chicken and cook for 3 minutes. When chick is browned, flip and cook the other side for 3 minutes. Remove and transfer to plate. Melt 2 more tablespoons of butter and add another 2 tablespoons of olive oil. When the butter and olive oil start to sizzle, add the other 2 pieces of chicken and brown both sides in the same manner. Into the pan add the lemon juice, stock and capers. Return to the stove and bring to a boil, scraping up all the brown bits from the pan for extra flavour. Check for seasoning. Return all of the chicken to the pan and simmer for 5 minutes. Remove the chicken to a platter. Add remaining 2 tablespoons of butter to the sauce and whisk vigorously. Pour sauce over the chicken and garnish with parsley.